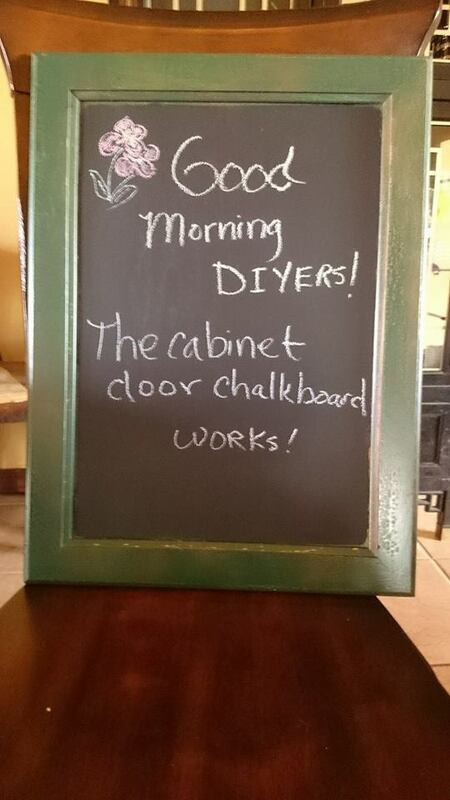 DIY Cabinet Door Chalkboard Success! It’s very easy to draw and write on and the chalk comes off with a very slightly dampened microfiber cloth! I love simple successes, even though my mishaps make better stories later.